HONEY GOLD RECORDS & YOUNGBLOOD MUSIC CO: PRESENTS GATHERING MY THOUGHTS Hosted by JONNY GORE Jonny and Hailey recap their weekend in Dallas. 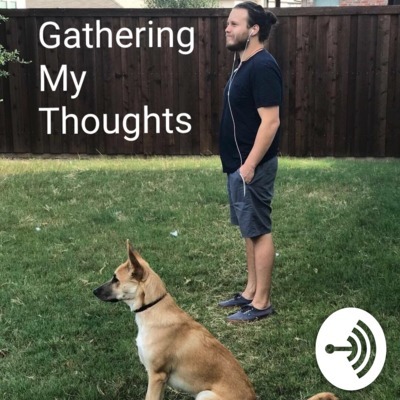 HONEY GOLD RECORDS & YOUNGBLOOD MUSIC CO: PRESENTS GATHERING MY THOUGHTS Hosted by Jonny Gore Talking about a bunch of nothing while listening to Circle Takes The Square. Season 2 Episode 18 HONEY GOLD RECORDS & YOUNGBLOOD MUSIC CO PRESENTS: GATHERING MY THOUGHTS Hosted by JONNY GORE 1. Monday ACB, Jay&Tif, whole night 2. 4th of July, fam and baby 3. Thursday, record Tyler, new computer 4. West World 5. Church lady breastfeeding 6. Baby throw up 7. James back 8. Hailey's car 9. "I'm just really passionate about (insert anything)"
HONEY GOLD RECORDS & YOUNGBLOOD MUSIC CO PRESENTS: GATHERING MY THOUGHTS Hosted by JONNY GORE Season 2 Episode 1 (Episode 11) 1. Shaving nose hairs, inside nose looks weird 2. Sandwiches taste better when others make them 3. Science becoming religion, different beliefs for science, different denominations, before internet, didn't know about wacky ones 4. Hobo rap kid 5. Cat easiest animal with newborn 6. Alexa/Google home commercials program your devices 7. "I wasn't trying to be mean", well you weren't trying to be nice 8. How can we breathe out hot temps and cold temps? HONEY GOLD RECORDS & YOUNGBLOOD MUSIC CO PRESENTS GATHERING MY THOUGHTS Hosted by JONNY GORE Season 1 Episode 4 1. What do waiters do with all their tips? 2. Social media, music Festivals, community 3. The way parents discipline 4. Holding babies 5. Wise, Disciplined, Energetic, Healthy 6. Whom is the Who in "Who Says"?